Home / Book Beat • Book Reviews • Year End Lists / Book Beat’s most anticipated for the rest of 2018! So many great books ahead! Book Beat’s most anticipated for the rest of 2018! So many great books ahead! In the last Book Beat, I recapped my favorite books of 2018…so far. 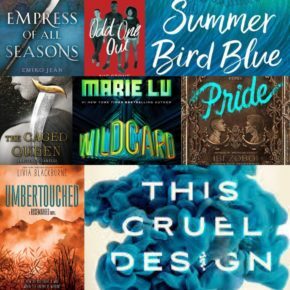 It’s only fitting that I look ahead and chat about the books I can’t wait to get my eyeballs on! Almost all of these are veteran authors for me with one lone debut author. (Most of my eagerly anticipated debuts where in the first half of the year.) 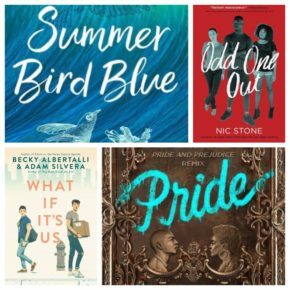 Read on and add to your TBR lists! Some of my favorite 2017 books launched a new series so I am eagerly anticipating the next book! If you haven’t read the first book yet, there’s still time before the next book is out. This Cruel Design by Emily Suvada (October) – The sequel to This Mortal Coil, this is a science fiction thriller unlike anything else. A disease has ravaged the world and the key to a cure may be hidden in our DNA. It’s a really science-y science fiction, but not so cerebral that it slows down the wicked pace. Wildcard by Marie Lu (September) – The final book in a duology that started with Warcross. Virtual reality, in-game bounty hunters, a hidden conspiracy, the first book was tons of fun. Umbertouched by Livia Blackburne (November) – The follow up to Rosemarked which is a hidden and unusual gem that people need to talk about more. In this fantasy, a healer helps a war vet go undercover by suppressing his long term memories. As a blank slate, he infiltrates the enemy kingdom completely unaware that he’s a spy. So good and original so don’t miss this one! The Caged Queen by Kristen Ciccarelli (September) – The middle book in a fantasy trilogy with dragons and dragon slayers and revolution. Read The Last Namsara to start exploring this world! Bonus: Dance of Thieves starts a new series in the same world as the Kiss of Deception series by Mary E. Pearson. The Reckoning of Noah Shaw is the fifth book in the dark and twisty Mara Dyer series from Michelle Hodkin. The Devil’s Thieves is Lisa Maxwell’s sequel to The Last Magician, a historic fantasy about magic in the gilded age of New York City. 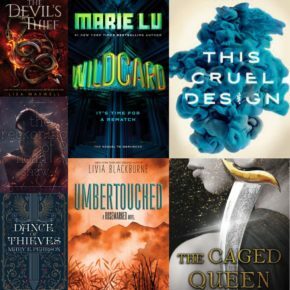 Most of these authors debuted last year and had terrific stand-alone books that critics and readers (including me!) adored. I’m very curious to see fresh stories from these voices. Summer Bird Blue by Akemi Dawn Bowman (September) – Her first book, Starfish, is a book about overcoming the scars of abuse and finding your way. Summer Bird Blue is grief and I already have two boxes of tissues on standby. Pride by Ibi Zoboi (September)- American Street is a beautifully written story about immigrants and being caught between cultures. Pride is a modern update on Pride and Prejudice so I am absolutely on board for this one! Odd One Out by Nic Stone (October) – Her first book, Dear Martin, is a great story about racism and social injustice. This time out, she’s taking her fresh writing voice and tackling relationships and friends. Bonus: What If It’s Us is by beloved authors and BFFs Becky Albertalli and Adam Silvera who write the viewpoints of two boys about to fall in love. 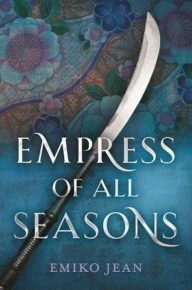 A lot of my most anticipated debuts came out earlier this year so that leaves Empress of All Seasons by Emiko Jean (November) as my lone debut author for the second half of this year. It’s an Asian-inspired fantasy where potential-Empresses are tested before they marry the prince. Can a girl who is secretly half-monster take the throne? I’m off adventuring this week at Comic Con International (aka San Diego Comic Con) so follow me on Twitter to see all the craziness. YALLFest 2015! A look at the biggest YA book festival! Alexandra Bracken! Victoria Aveyard! Gail Carriger!